i just tapeop'ed my new SM57 and i like it. i combined it with an SE R1 Ribbon mic, and it sounds superb. the sm57 facing the grillcloth, at 1 inch away, about half way between the center and the side of the speaker. and the SE R1 at difference distances, from close to the speaker to one meter away. But it got me to know more about recording, forget a bit my past habits of an amateur, and go for better. i'm wondering if you have some infos about Eddie's way to record Jimi's amps, in studio, in lives, for Bog maybe ... And which mics he used. he wrote a book about it, isn't it ? 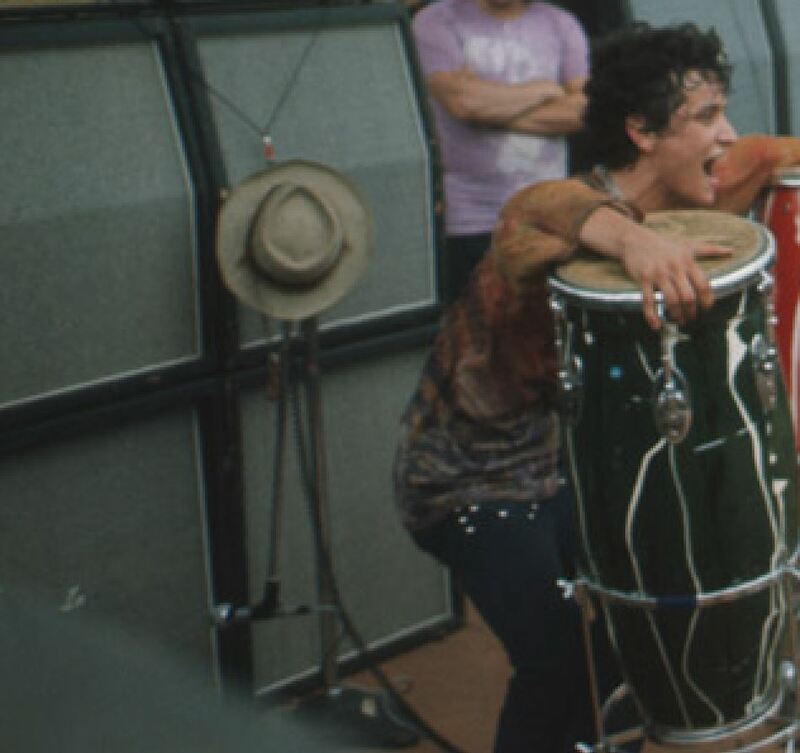 for now, what i gathered is only this : for Woodstock, he used some SM58. it seems that he used one on the side of a speaker, and one off axis, just hanging against another speaker, judging from this picture. But then, how does he mix things with omni ambiant mic ? and reverb etc ? ok now i want an U67 ( 16 000 $ ??? ) and an M160 ( 600 is more ok .. ) lol. i'd rather go for a peluso P67, if i really want to go in this direction, but 2000 is still a lot of money. i think there was a masterclass somewhere, where he talks a bit about this. i should search a bit. 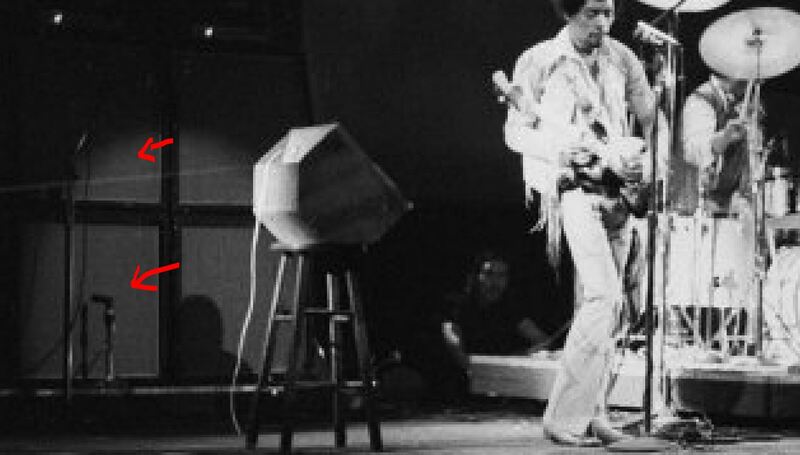 Well, maybe some more answers are in his books but eddie kramer sometimes remember things his way ..